FMP has supported NRCS on several strategic human capital planning and assessment projects, including the creation of NRCS’s Human Capital Strategic Plan (HSCP) and the development of comprehensive workforce profiles. Today, HR leadership is using this plan as a tool to prioritize work for FY2013. Through this effort, NRCS has helped shape the Department’s expectations for NRCS’s performance as well as the Department’s approach to human capital planning. 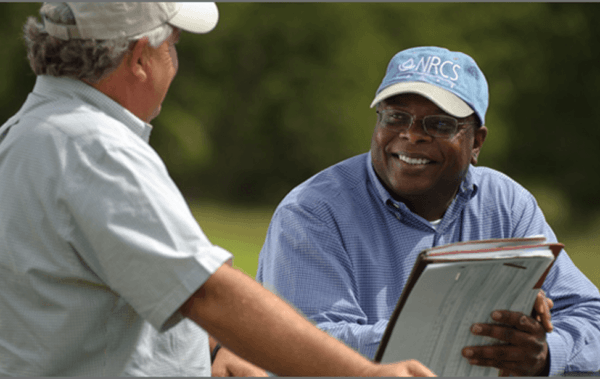 In 2009, NRCS faced multiple human capital challenges including an increasing number of experienced employees contemplating retirement and a more competitive labor market. NRCS engaged FMP to develop a national recruitment strategy and a roadmap for attracting, recruiting, and retaining a skilled, diverse workforce. FMP also provided NRCS with a variety of human capital support. Building on the actions identified in the recruitment strategy, we developed a framework for a human capital strategic plan, developed comprehensive workforce profiles, created a mechanism for two-way employee communication, and initiated the development of a virtual career center/career mapping tool. The project has greatly helped NRCS with its human capital strategic planning, especially recruitment and retention. Developed workforce profiles and a Human Capital Strategic Plan to shape the Department’s expectations of NRCS’s performance and its overall approach to human capital planning. Helped to increase ethnic/racial diversity by 1.2% and representation of women by 2% since implementing nationwide recruitment strategy. Redesigned NRCS People intranet site, introducing forum for two-way communication between employees and leadership; Over the first eight months, the site tracked more than 16,300 hits.